The Shutter Verdict: Top 50 Cameras of all time. Top 50 Cameras of all time. I'm in the market for a new camera. A bigger camera that can deliver the results that I need. 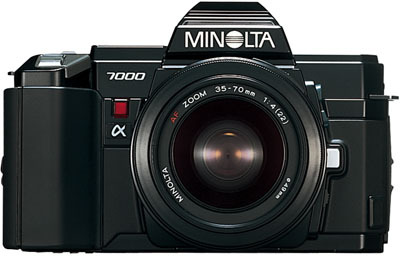 When I first started out shooting, I started with a Minolta Maxxum 7000 film camera. This camera was a great starter camera that had a ton of features at the time. This camera was loaned to me so naturally if I wanted a new lens or something I was going to have to get my own. I stayed in the film category and purchased a Minolta Maxxum 5. Then some lenses that would fit the Minolta series. As luck would have it, Minolta stopped making cameras and sold that division to Sony. Sony kept a lot of the specs in reference to Minolta so that current Minolta users wouldn't have to fork out thousands of dollars to reconfigure their existing set ups...schwew! As time went on, I chose a digital camera, the Sony Alpha A100 (now discontinued), then upgraded to the A700 (now discontinued). The next logical choice would have been the A900 (again, now discontinued) but that A900 was a full frame sensor camera...hmmm...what to do, what to do? 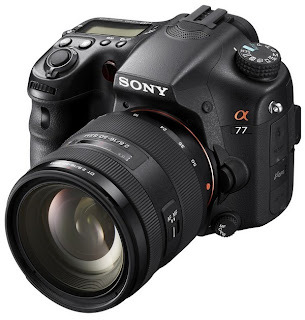 After a lot of research in wondering if I should just jump the Sony ship, I discovered the Sony SLT-A77. Now we're talking! This is exactly what I want at this point...and of course, completely sold out/temporarily out of stock online. Not a bad thing, it's just a waiting game now. In the meantime, I came across a great list of cameras. The Top 50 Cameras of All Time. The Sony A900 is number 41! Along with the cameras are reasons why it was chosen. An interesting read for camera buffs. I was given an old Minolta 7000 as a gift last Christmas from a friend. It reminds me where I started and where I am now. What was your first camera?